I just received this gorgeous photo and I wanted to share it with you all. Comments Off on Why miss out? Price drop! For a limited time, BEYOND THE PALE is FREE in e-book! First, I want to thank you all for your patience. I know it’s been awhile since I posted anything on the book front. I have had many of you asking when my next book will be coming out and to be honest I don’t have a release date yet! I will certainly post that information as soon as it is available. Out today you will find the new cover for Silence is Golden alongside Beyond the Pale on amazon, so keep a look out for any changes. 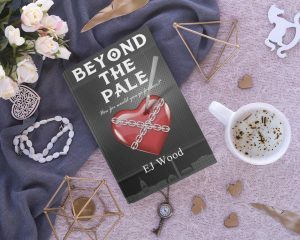 If you are yet to read Beyond the Pale, please take this opportunity to download it free of charge and if you have the time please leave a positive review. This is the perfect book to curl up with a glass of 🍷.